Here is the home that you have been waiting for. 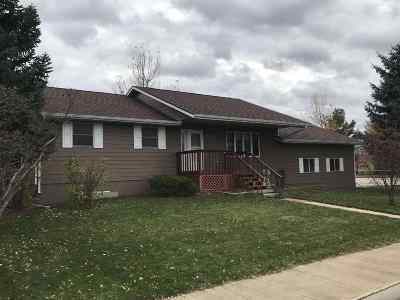 Listed by Lori McNeese, 605-641-0980, RE/MAX In The Hills. You will be welcomed into the open living room featuring vaulted ceiling and built in book shelves for your special treasures. This very gently lived in home is move in ready and offers 3 bedrooms and 2 baths on the main floor. The master even has a laundry shoot. Enjoy your meals in the open sunny dining room while looking out into the back yard, or step outside onto the 16x14 deck. The kitchen has lots of storage and counter space. Downstairs you will have two more bedrooms (one non conforming but with a larger window), a large family room, a large laundry room with more room for storage, and another bath. There is no wasted space in this home. The 2 car attached garage has new overhead doors and more storage in a loft area above the ceiling. The 2 car detached garage has plenty of room for vehicles plus a work bench and is heated for year round use.